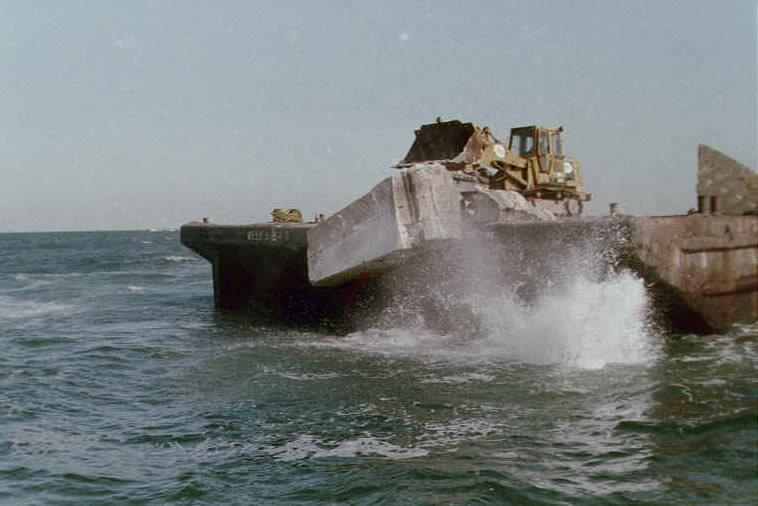 The Ocean City Reef, located approximately 7.4 miles southeast of Great Egg Inlet in Atlantic County, will receive 8000 tons of concrete rubble on October 24, 2006, as part of the Division's Artificial Reef Program. 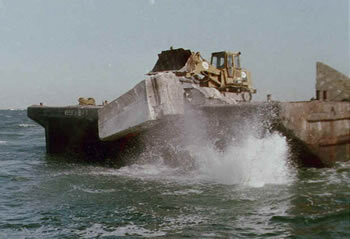 The concrete deployed will be similar in size and shape to the concrete pictured below. 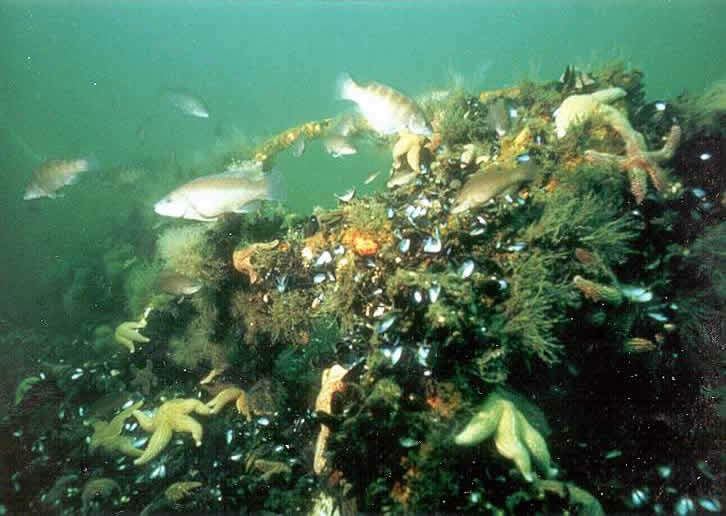 Soon this concrete will provide an attachment surface for mussels, barnacles, hydroids, anemones, stony coral and other invertebrates, which will quickly cover the structures with a living carpet, providing the base of a productive marine food chain (picture below). 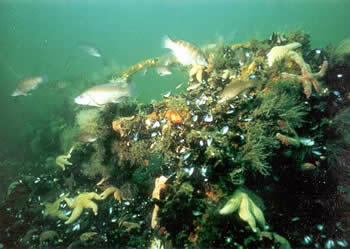 By summer, sea bass, tautog, scup, triggerfish and summer flounder will colonize the new reef. It will then become a favorite target of anglers coming out of Great Egg and Corson's Inlets. The target date for deployment of October 24 is subject to weather and sea conditions. For further information regarding the deployment of the vessel contact Hugh Carberry at 609-748-2022.